If you’re looking in to commercial real estate, it is so important to understand every aspect of your investment. From financing, to space needed, building design, and so many other factors that go into purchasing your space, ensuring you are weighing your options properly and effectively is exactly why your broker is there. Commercial real estate is far more technical than residential real estate, so it’s in your best interest to have a complete grasp on what you are investing in. 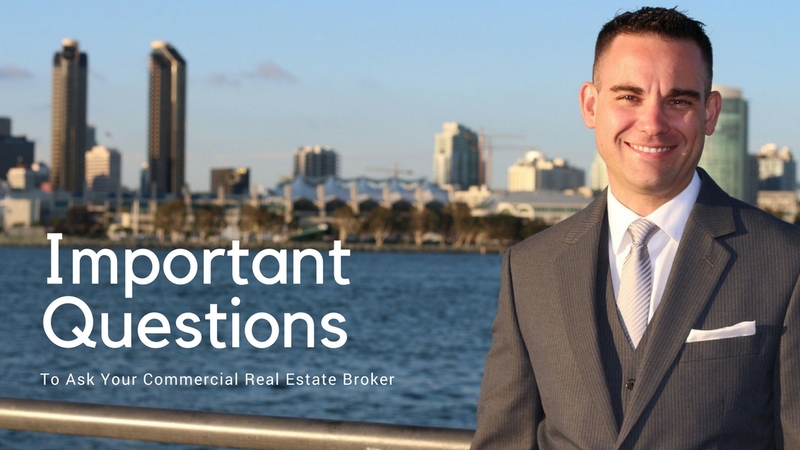 Below are a couple important questions and ideas to keep in mind when working with your broker. · What are the restrictions and zonings of the buildings I’m looking at? Understanding zonings and restrictions in the city is imperative when you are looking to build. What is the maximum height for the building? Is signage allowed, and if so what kind? How much parking will be allowed at the location? Does the city have to approve what I am using the building for? Don’t be afraid to ask these questions! · What are the demographics of the area for which I’m looking to invest? This question is so important to ask to understand the area for which you are going to be running your business. For example, if you are looking for a retail location, it is best to know that where you are looking has the appropriate consumers for what you will be selling. · What are the financial consequences of the lease terms? When working with a landlord, having a broker that works strictly for you is beneficial in that your broker will get you the pros and cons of the landlord’s lease terms. They can also create negotiations on your behalf so you don’t have to deal with the landlord directly. Brokers typically know the local market and they are meant to find the most profitable spot for your business. They can interpret all the legal documents involved and can help negotiate lease clauses that may be harmful to you. Asking the right questions could determine the success of your investment. Commercial real estate brokers are an advocate for you to ensure your business can and will thrive!